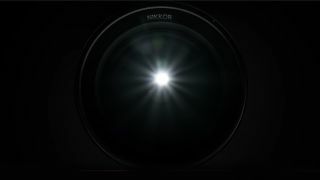 Nikon has released a fourth teaser video for its upcoming Z6 and Z7 full-frame mirrorless cameras, ahead of the August 23 launch event. At just over 30 seconds long, this video focuses on lenses – unlike the previous videos Nikon has released in the build-up to the launch, we don't actually see the rumored Z6 and Z6 mirrorless cameras. With an all-new lens mount already confirmed by Nikon, the video adds fuel to the rumors that we're likely to see an ultra-fast 58mm f/0.95 prime lens at some point. It opens with a shot of the company's manual focus 58mm f/1.2 lens, the fastest optic the company currently makes. To get all the latest news and in-depth analysis on Nikon's new Z6 and Z7 full-frame mirrorless camera, keep an eye on our regularly updated news and rumors page, where you'll find everything you need to know.